They mislead the world into thinking they wouldn’t be the last two standing. They did everything they could to make it seem like the two teams weren’t destined to meet in the Finals… again. Injuries to high profile players. Check. Dramatic Game 7 victories on the road. Check. Is this LeBron’s last hurrah (again)? Check. 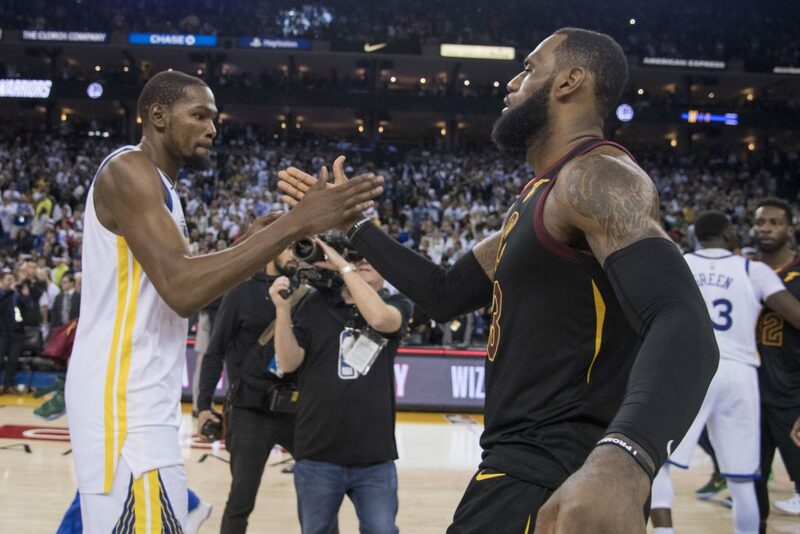 But in the end, the Golden State Warriors and the Cleveland Cavaliers will clash to determine who will be the next NBA Champion for the fourth straight season. This will also mark the first time in the history of North America that a major sports league will have the same two teams meeting for the fourth straight year to determine a champion. But are fans wanting to see the same storyline for the fourth straight year? We all know how great the Warriors are. And we all know how great LeBron can be (just ask the Celtics). We’ve seen this for four straight years. There’s nothing really different this time around and the fans may be getting bored of this. We’ve seen this show before. LeBron will tasked with putting up ridiculous numbers to compensate for his team’s lack of another superstar. Curry will shoot threes from way beyond the arc. Draymond will scream and pout, most likely getting a technical. And Durant, will be, well, Durant. I, for one, was hoping for at least one new team in the Finals this year. Preferably the Houston Rockets to see LeBron take on the beard and fellow banana boat attendee Chris Paul. But that dreamed got squashed the minute CP3 injured his hamstring. Had the Rockets not missed a record 27-straight three-pointers Monday night, maybe we would be seeing a Rockets/Cavs Series. Now we get to see J.R. Smith and the gang chase Steph Curry and Klay Thompson around the court. And with Kevin Love out indefinitely due to the concession protocol, LeBron will need to do what he did against the Celtics. The Warriors have four All-Stars. All great in their own way. LeBron may be the only great thing on the Cavs. I’ve never been one to root for the Cavs, but in this instance I am. It’ll take LeBron being Super-Superman in order to make this an interesting series, so let’s hope that there is no Kryptonite within 100 miles of the building.